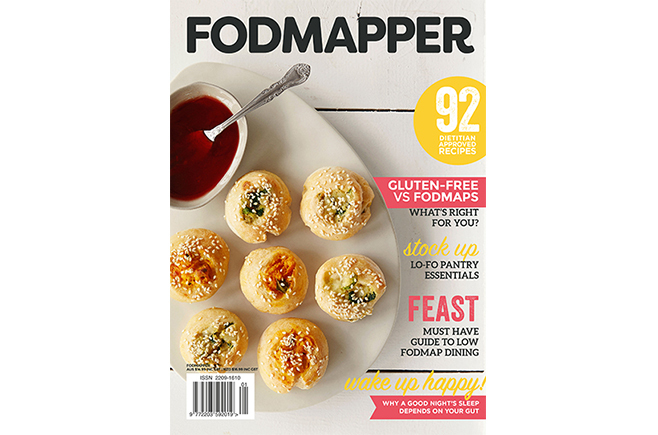 Issue 2 is packed with delicious low FODMAP recipes and articles to help you navigate the complex world of FODMAPs. Gluten-free doesn’t always mean low FODMAP. Understand the difference between the diets with help from Dietitian Joanna Baker. 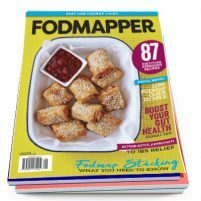 You don’t have to avoid all FODMAPs forever. 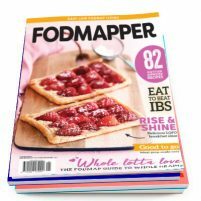 Discover how to reintroduce and retest FODMAPs with guidance from dietitian Joe Leech. Blogger and cookbook author Emma Hatcher takes us inside her low FODMAP pantry. Low FODMAP living doesn’t have to mean always eating in. Dietitian Chloe McLeod shares her top tips for dining out. Breakfast, Lunch, Dinner, Snacks, Drinks, Dessert. 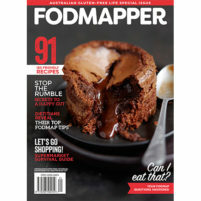 If you’re looking for low FODMAP recipes, FODMAPPER magazine has got you covered! Please note, the low FODMAP diet is not a gluten-free diet. 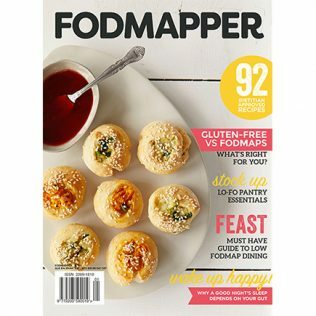 Some recipes in Issue 2 contain oats and some advertised products are not suuitable for those following a gluten-free diet.